In bowl, break up cookie dough. Stir or knead in 1/2 cup all-purpose flour until well blended. Shape dough into 72 (1-inch) balls. Roll balls in sugar in shallow bowl. On ungreased cookie sheets, place balls 2 inches apart. Bake 10 to 14 minutes or until edges are golden brown. 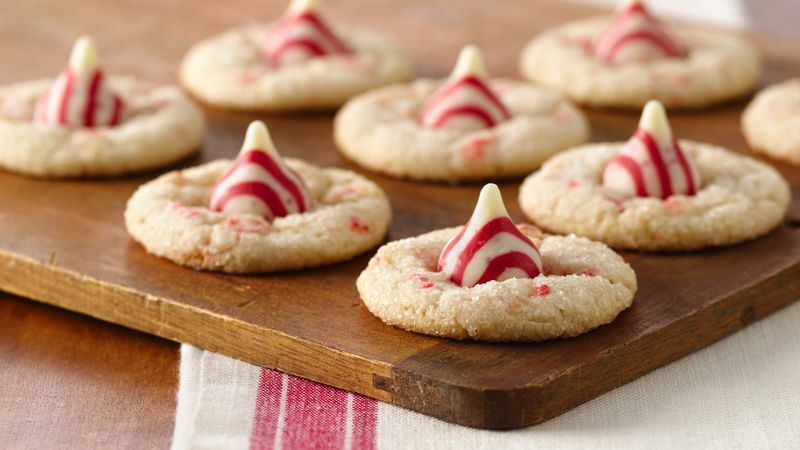 After removing from oven, immediately top each cookie with 1 candy, pressing down firmly so cookie cracks around edge. Remove from cookie sheets to cooling racks. Cool completely before storing. HERSHEY'S and HUGS trademarks and trade dress are registered trademarks used under license.